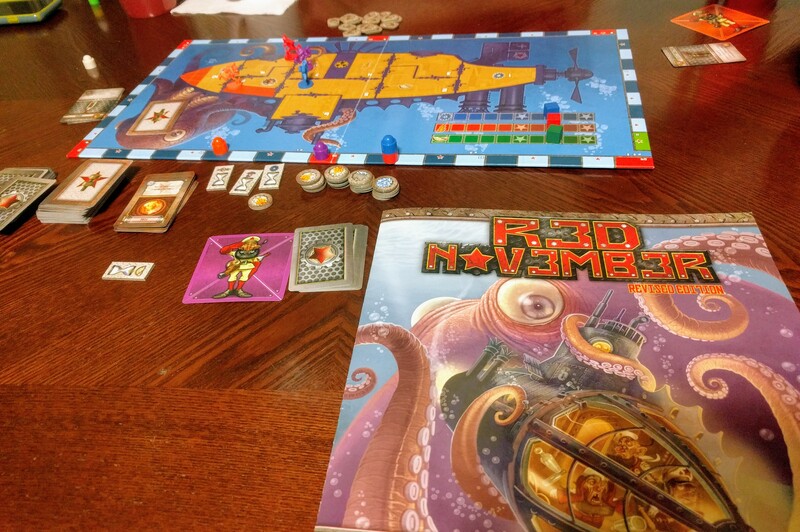 One of the first hobby games I purchased when I first started playing designer/hobby board games about 6 years ago is Pandemic by Matt Leacock and publisher Z-MAN Games. If you’re in on the board game scene, you’re quite familiar with this title and probably have even played it many, many times. In fact, that is the case for me. Not only was Pandemic one of the first hobby games I played, it was the first Cooperative game as well. As much as I love shouting matches with my friends, I was intrigued by working with, rather than against people. The challenge of the game and the puzzle-like nature is incredibly interesting, especially at first. 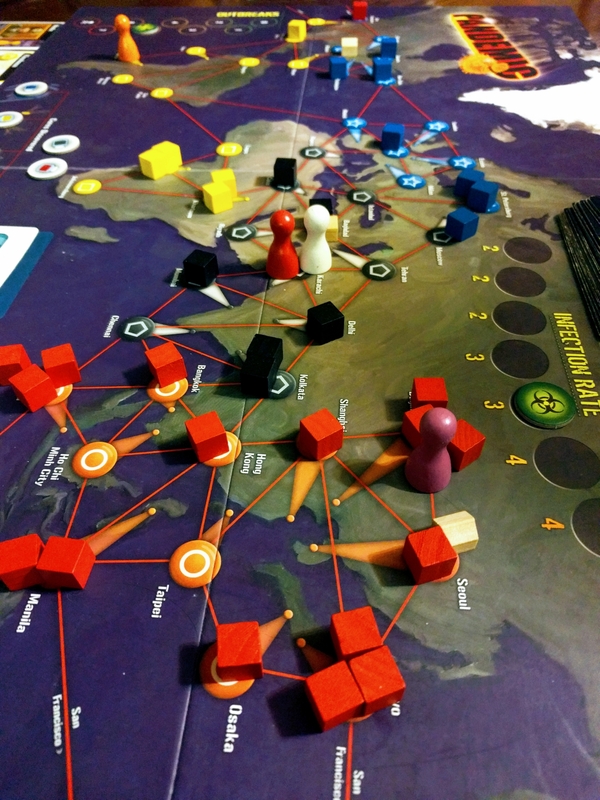 Anyone who has played Pandemic a lot will tell you, though, that it can become a little bland. It doesn’t involve magic or killing things, so many people automatically dismiss it. In addition, Pandemic can be almost completely deterministic. When your team starts to slip and outbreaks occur, this can add to the unpredictability as Epidemics can result in immediate outbreaks. I suppose that’s where the difficulty comes in, but otherwise the game can be very predictable. As much as I love Pandemic I’ve realized that I enjoy co-ops with more randomness that the players have to deal with turn by turn, such as Arkham Horror and the brand new Black Orchestra. Almost seven years, and around 50-75 plays later, game can feel a little lackluster, even with the On the Brink expansion. Granted, I have the first edition and haven’t acquired some of the newer expansions such as In the Lab or State of Emergency, but the true test of a game is whether it can hold up with few to no expansions. Expansions are like condiments: there’s nothing wrong with them and in fact they make food quite delicious, but I’d prefer to eat a steak that doesn’t need sauce in the first place. But back to base game, one that I’ve played more than most games in my collection but hadn’t touched it in a while. I’ve gotten to play it three times in the past couple weeks now, and I have to say that my respect for and enjoyment of this game has been very much reinvigorated. Although we won two of the three games, one of those sessions was very close and could have easily going the other way. The loss that we suffered came completely out of nowhere. We had already cured the yellow disease, with good progress on blue and black which would have both been taken care of in two turns, except that we had an epidemic in Taipei, which caused a quadruple outbreak in the red territories because there was already a disease cube in Taipei from a previous outbreak in red. It’s puzzle-like nature combined with the rare, unforseen events like this that remind me why I still like this game. All this mean the $40 retail price tag Pandemic is an incredibly a good deal as a steady standby co-op for your collection. 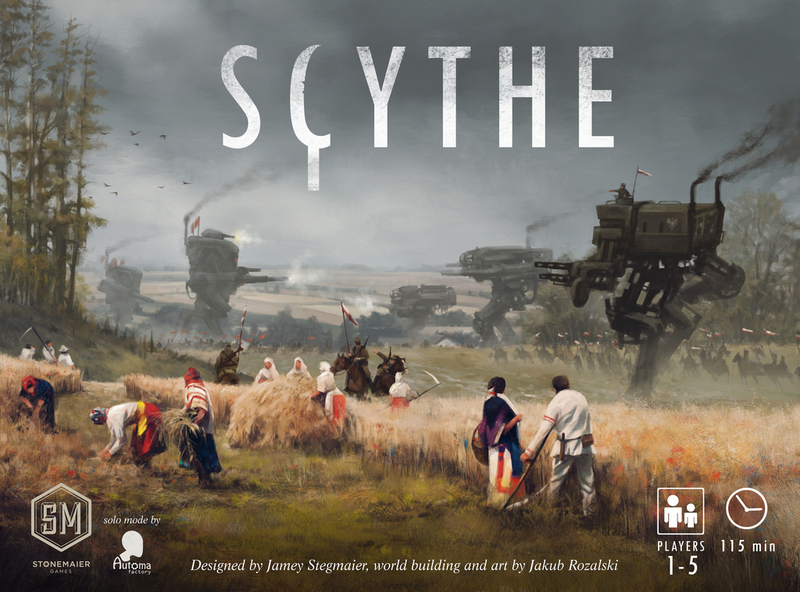 Although there are some good co-operative games that you might be better off with (Flash Point, For example), this is probably one of the best for people who love logic puzzles, but still have yet to say, “oh wow, modern board games are actually good!” Every good game has niche and Pandemic definitely still has a place. There are some newer cooperative games that I hope to talk about in the future such as the before-mentioned Black Orchestra and the soon-to-come app for Imperial Assault. Pandemic is showing its age a little, but unless you’re you’re trying to introduce a child or a total non-gamer to the genre, there is no better title.